Marking the halfway point for the year, June has bought with it the start of a heatwave that looks here to stay, plus a busy, bustling feel to the town centre. This month has also seen the trial start for the pedestrianisation of Boots’ Corner, which will restrict traffic through the area during peak hours in the Town and should improve visitor experience. Organised and finalised the first Cheltenham Instameet which will take place on Tuesday 17th July. Participants will be given bike or e-bike hire from The Bicycle Hub, before taking to cycle lanes to complete the town’s newly revamped Regency Bike Tour. To participate in the Instameet, please book on Eventbrite. Started first discussions to resolve current challenges with coach parking in the town. It is hoped that at the end of discussions, we will be able to support coach drivers with more accessible parking and a more efficient process, encouraging more frequent coach trips to the town. Hosted delegates from Visit Britain Japan, to show Cheltenham off to international promoters. We organised dinner for the group, and spent a wonderful evening at Malmaison with the guests. Supported a Great West Way tour operator with her visit to Cheltenham. The Cotswolds (including Cheltenham) is a Great West Way partner, which will see more visitors come west out of London to visit destinations en route, including Cheltenham. 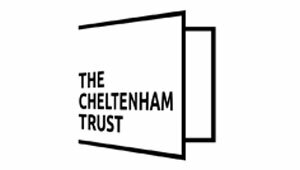 We worked with the Great West Way project team to support an American Tour Operator on her visit, showing off the best of Cheltenham and organising accommodation and activities for her trip. It is anticipated that this will lead to tour development and inclusion of Cheltenham, with a view to driving more overseas visitors to the town. Developed an itinerary including accommodation and activities for a journalist from Bristol 24/7 with a view to showcase the town. The visit is set to take place in July. Event accommodation availability pages for The Snooker Grand Prix in February and The Festival in March. Summer Holidays page update including all new events and activities. Our brand new ‘Pay Day Picks’ page, which promotes high ticket price items that visitors can book in advance. Event theme pages to help visitors review what’s on by their specific subject interests. Added more than 140 new products onto the website, including business listings across all the categories. Progressed the inclusion of online booking via Guestlink, for businesses who do not already have compatible software. Trial businesses will be brought online early July, with roll-out planned for all other members in August and September. Added new members to our roster, including Tour & Explore, Cleeve Hill Hotel, The Brewery and all its businesses, Cotswold Foodie Tours, Cheltenham Festivals and The Everyman Festival. Continued promotion of key dates including The Music Festival, The Mark Cavendish Sportive and many more. reaching 48,673 people via Facebook, gaining more than 5,500 individual engagements and growing the platform by nearly 60 followers (compared to a historic monthly average of 7). This also signifies a 9.28% uplift in reach since May, signifying that our new strategy has growing impact.